Hurry up. You only have a moment to grab the attention of your audience. They’re fleeting little bunnies. Don’t see a bright orange carrot? Bounce away! See something scary? Hop for safety! Catch a whiff of a leafier garden? Spring over there! The online world is so filled with products, images, text, and distractions that getting and holding the gaze of your anxious customer is like setting a snare. You must carefully construct and bait your trap to catch your dinner. That metaphor got a little violent, but business is a feast-or-starve affair. Your competition will feel no guilt about eating your Hasephfeffer until their belly swells. So don’t let your visitors loose once they come sniffing around your product page. Seize their attention and don’t let it free until they’ve been converted to customers. No doubt images are the most important part of your listing. You’ll never snag their eye without great pictures, but to seal the deal you need an appropriately awesome description. His name is Ted. He’s 37 years old. He is married with three kids (12, 9, and 6 years old). He likes to work around the house, watch football, and grill for his family, of course. He follows barbecue and grill enthusiasts on social media. He has a black lab and a boat. Find a picture of a guy who looks like Ted. Give this picture and his profile to every member of your team. Think about Ted every time you make a decision for this campaign. Again, you probably already know what your keywords are. You should have a list of hot words connected to your product. These are words customers are using to find your competitor’s product. 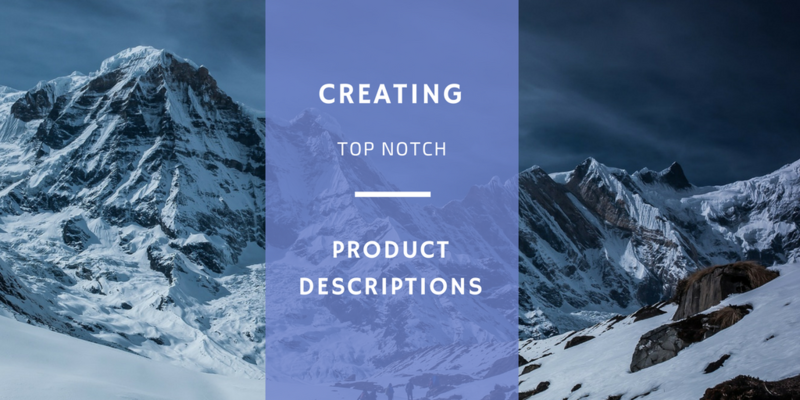 You’ll be grabbing this list when you plan ad campaigns and when you craft your product description. You can find many keyword planning tools online. Use a couple and record the results. Use auto-fill. Put part of a key phrase into the search engine of your e-commerce site. See how the software fills in the blanks. This will give you an indication of what people are searching for. Keep this keyword list next to your customer profile. Incorporate these words and phrases organically in all your communications. They should be a major part of your product title, description, and bullet points. To you it’s obvious. To them it’s not. Every time you list a feature, describe how this will benefit the customer. Let’s bring Ted back and tell him about our gloves. Heat resistant fibers so you won’t burn your hands while grilling. Silicone texture so platters of ribs won’t slip from your grip. Ted can see three ways your product will make him a backyard hero. Look how this list uses the rule of “so.” It’s a simple way to effortlessly combine features and benefits. Follow every benefit with “so” and complete the sentence. Your benefit will appear like magic. You’re not just listing ingredients. You’re putting your audience in a narrative. Help them imagine life with your product. Use the tools of a storyteller: imagery, sensory details, imagination, and vibrant language. Use the five Ws like a reporter. Deliver the who, what, why, where, and when. Throw in the how while you’re at it. But don’t be stiff with it. Loosen up. Have fun. Wrap yourself in the personality of your company, high-five Ted, and write a page turner. Remember the JPeterman company that made narrative product descriptions famous. It doesn’t really tell you what the apparel is made of or how many buttons are on it. Instead, the descriptions make you imagine how it would feel to wear it in a movie. Take a risk. For better or worse, you’ll become unforgettable. Don’t tell us it’s high-quality. Detail the expertise of your staff and the diligence of your quality control. Don’t tell us it’s cutting-edge. Chronicle the recent advances in technology that led to this breakthrough. Don’t tell us it’s tough. Tell us about the durability tests and what items failed those tests. Adjectives are weak. Use details, statistics, and stories. Don’t change things so abruptly it looks like a RaNsoM note, but be visually interesting. Keep in mind some people read paragraphs. Others are drawn to lists. Some prefer shorter sentences. Use a little of each to please the crowd. You’re supposed to love your product. Others aren’t required to. If they say they do, it’s probably true. Use the words of your customers to create more customers. If they misspelled words or used run-on sentences in their review, rejoice. That’s what real people do. It will give it an authentic ring. If you wrote a fake review, surely you’d spell it all correctly. In the competitive online shopping market, catching the attention of a jumpy customer is tricky. 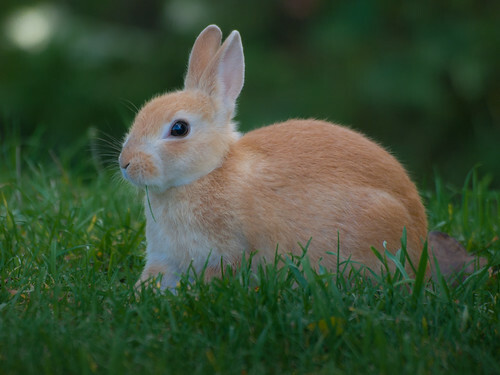 Be unusual, be memorable, and the curious bunnies that hop onto your product listing will bounce away as customers.